Langrage is a collection of damaging materials fired from a cannon to inflict maximum devastation. 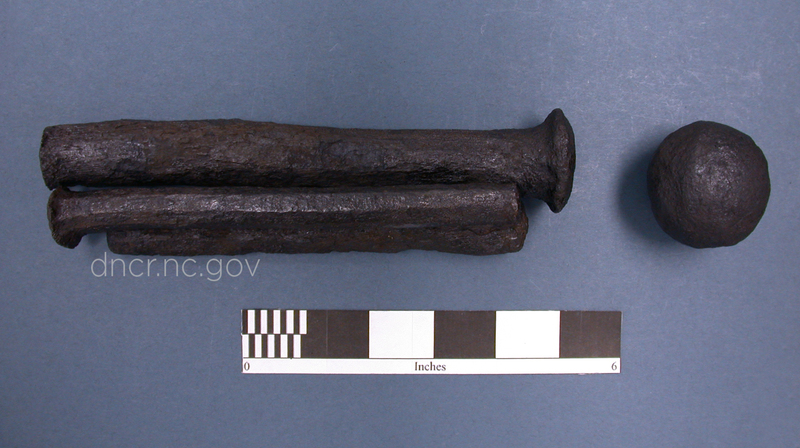 This could include broken glass, musket balls, iron sprues, or as evidenced by one cannon recovered from the Queen Anne’s Revenge site, iron bolts. We know this collection of artifacts is langrage because they were removed directly from the bore of cannon C19, a Swedish 1-pounder.